Geopolitics has always been about seizing wealth and the smoke and mirrors set up to distract people from the real game. When President Bill Clinton’s campaign adviser uttered similar words about the economy he was but revealing an age old truth that goes back to the East India Company, which was the de facto CEO and major shareholder of the British Empire, and further back to the Punic Wars between Rome and Cartage. It was very possibly even the real cause of the assassination of Julius Caesar. Possibly the world’s first socialist, despite his obvious personal ambitions, Caesar caste the die, chose to use his military muscle and cross the Rubicon with his troops when the senate attempted to ban him from ever seeking political office again on his return from his conquest of Ancient Briton and Gaul. It appears he was also seeking to prevent the oligarchs in the senate from amassing even more wealth and territory following the expansion of the empire to the north. He wanted these to filter down to his soldiers, who had given Rome its empire, not to be concentrated solely in the hands of a very few huge land owners sitting in their white robes in the senate. Plus ça change, plus c’est la même chose. Very little has changed since those early days of individual amassing of wealth. Plutocracy by any other name tastes as bitter. A virulent form of today’s neocolonialism has been drawing its strength from a world reserve currency that was once tied to gold reserves, but that has in the past 40 years now been very largely linked to oil and gas. 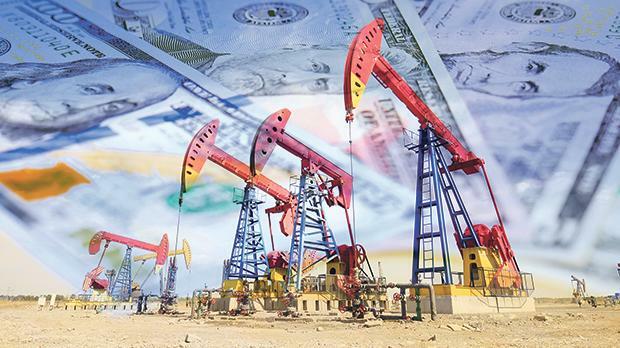 In a nutshell, petrochemicals and many commodities throughout the world have been traded in US dollars, which has benefitted the US economy more than words could say. This has made countries enslaved to the dollar. Nations part with their very precious resources in exchange for a fiat currency that no longer has any real value. They are left holding huge truckloads of dollars that are then used to strengthen the US economy by exchanging them for American goods. Unless of course said nations happen to be on the ever-growing list of countries reeling under US economic sanctions which are not even legitimatised through any United Nations resolutions. They are then left holding the dollar baby and storing the pieces of paper away in warehouses. But hey, they could always use those surplus dollars to buy up even more US treasury stock, as the Gulf States had committed to do in the 1970s. Such stock is the fuel that the US feeds its ravenous furnace with, that churns out an endless supply of even more dollars, making the banking fat cats fatter, to help finance its global police force, to ensure that nations cough up and shut up, if they want to avoid economic sanctions leading to boots on the ground or drones and bombs from the air. Today’s surreptitious, petrodollar-induced neocolonialism has in short caught most of the world in a straightjacket, in a wrestler’s stranglehold, with no possible escape in sight. They are caught in a vicious circle. At least it is so, as long as one bows to the god of the petrodollar and offers it due sacrifice. Problem is, if you turn your back on this jealous god, you are most likely to incur its wrath and take a few arrows in your back for your audacity. This reminds me of those old western movie scenes where a fast gun makes a town his own. When some step forward to object, they are shot down like rabid dogs. “Are there any more objectors?” asks the gunslinger. The other folk just turn around and scurry back home with their tail between their legs. Then a new gun turns up in town with a fast draw and guts of steel. The audience sit up in their seats waiting for the inevitable showdown at high noon. That day is fast approaching in the geopolitical landscape that is shaped by global trade. Some years back the EU had a dream to set up the euro that would compete with the dollar as a global currency. That dream is stalling as forces at work hit the eurozone badly. But that is not the whole story. Europe had a chance to start turning away from the dollar and forge agreements to pay for oil and gas in euros, something that makes perfect sense to the EU as well as to its economic partners. Instead we are beset by increased economic sanctions against our eastern neighbours, which only serves to poison the waters between nations, while the US which is poisoning its own water supply to extract more oil and gas through fracking, is trying to woe the EU into buying its own damaged goods instead of turning eastwards. This of course would tie the EU ever more to the petrodollar, for the US would never agree to sell its resources for euros. What was once a proud and powerful part of the world seems to have now become a vassal region of the new empire across the pond. Instead of forging strong economic ties with Russia and the Middle East, European-elected representatives have engaged in sanctions, threats, and sending missiles and planes to distance Europe even more. What could be a bustling European economy with closer economic ties to its neighbours, giving benefits to both sides, is instead faltering, and is presented, furthermore, with a huge influx of migrants fleeing war zones and economically depressed areas. And of course the most militarily belligerent have been the ones who have most refused these entry. Will history portray Europe in the 21st century as having ceded its influence and strength to the US, banks and Israel, by acquiescing to their demands, overt or covert, and to the petrodollar? Meanwhile China has not been standing idle, watching the European ship list in the storm. The largest oil consumer launched its own petro-yuan last March, and oil is now also traded in Chinese currency. Iran has ditched the dollar, and Russia, with its huge oil and gas reserves, has floated the idea of abandoning it too, as it had already done with sales of petrochemicals to China. Thus far smaller nations have tried to move away from the dollar but got blasted by sanctions, military interventions and coups. Now that a few top guns have faced the trigger-happy gunslinger, it is a totally different ball game. The demise of the petrodollar, and with it the economic and military might of the US, is just a matter of time. The real question is not if, but when. Colonialism and empire building are anachronisms that are well past their expiry date and an insult to all the people living today who suffer enormous disparity of wealth, not just between nations, but also between the super-rich and everyone else, even within the EU and the US. As for Europe, for better or worse, it has always led in the past. Will it now join the forces of reform and stand up to be counted without trying to exploit other nations in the process? Or will it remain a vassal, and slave of the petrodollar, and risk going down with a sinking ship? Rodolfo Ragonesi is a lawyer and researcher in history and international affairs.